We know each fundraising event is unique, so it's important to have the flexibility to add a variety of options for your registrants. 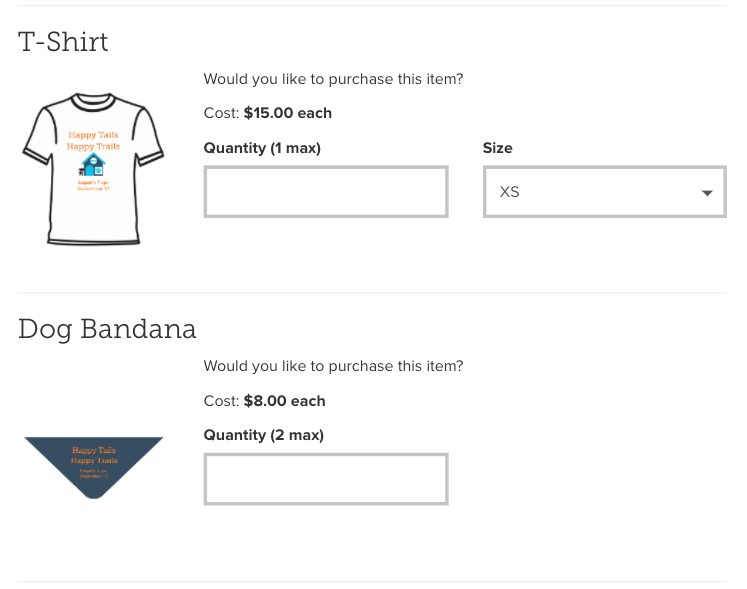 Since we already have a built-in t-shirt option that allows your fundraisers' to choose a t-shirt size, the Swag Items feature allows you to enter options like shirts, dog bandanas, raffle tickets, and water bottles, to name a few ideas! In this section of your event editor, you'll be prompted to include an item description, an image for your registrants, the price associated with each swag item, and the max quantity of each that the registrants will be able to purchase.